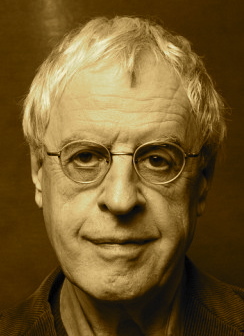 A Year of Being Here: Charles Simic: "Miracle Glass Co."
To whom, too, I bow. "Miracle Glass Co." by Charles Simic, from A Wedding in Hell. © Houghton Mifflin Harcourt, 1994. Photography credit: Detail from photo series entitled "Carrying a Mirror Thru La Candelaria," by Miguel (originally color).